Ofcom is expected to approve proposals from Vodafone and Three in the UK, which would allow them to use existing spectrum to offer 4G LTE services. The networks want to follow EE's lead and convert some of the airwaves it is licensed to use for 2G and 3G services into super-fast 4G mobile internet. The government's communications regulator is now holding a public consultation on the proposals until March 29, with a decision expected shortly thereafter. A positive outcome would be a massive boost for the networks, who're desperately attempting to minimise the damage done by EE's lengthy headstart on the competition. "This will meet a long-standing objective to liberalize all mobile licenses so that there are no regulatory barriers to the deployment of the latest available mobile technology," Ofcom said in a stamtent on Friday, indicating that a positive outcome is on the cards. If Ofcom does indeed approve the plans, it would enable Vodafone and Three to launch 4G contracts, perhaps before spectrum becomes available before the long-running auction saga comes to a close. Seven companies are currently vying for the radio airwaves required to run 4G services in the UK. The bidding process is expected to continue for the next couple of weeks. 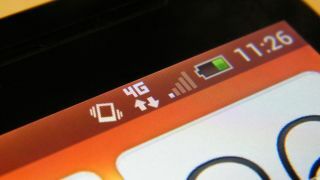 A quick resolution is vital for EE's rivals, given that the network was able to roll-out 4G connectivity to nine more UK cities, last week, bringing the total to 27.